Historical Volatility displays the price volatility over a period of time based on the change of the Close Price from one interval to the next. 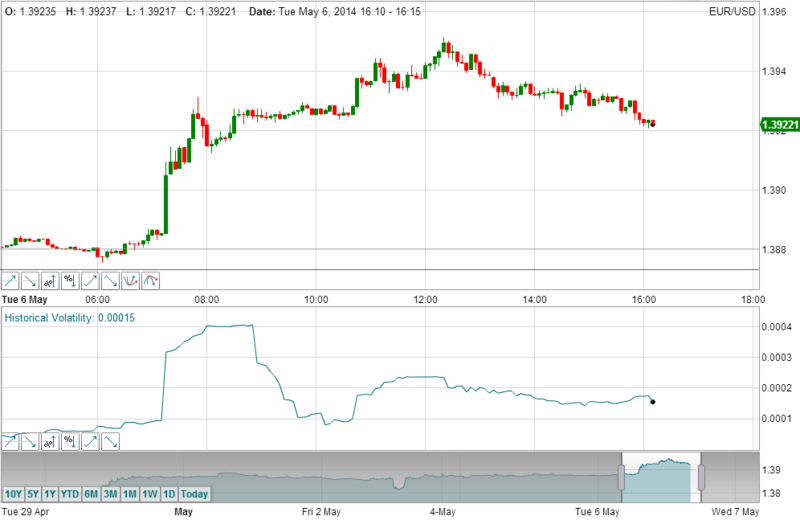 It is also referred to as the Statistical Volatility. There are a variety of methodologies for calculating the Historical Volatility and the method used by timetotrade is based on the sum of the current and previous close price divided by the previous close. The lower the Historical Volatility the lower the volatility of the underlying market. The higher the Historical Volatility value, the higher the volatility of underlying market. 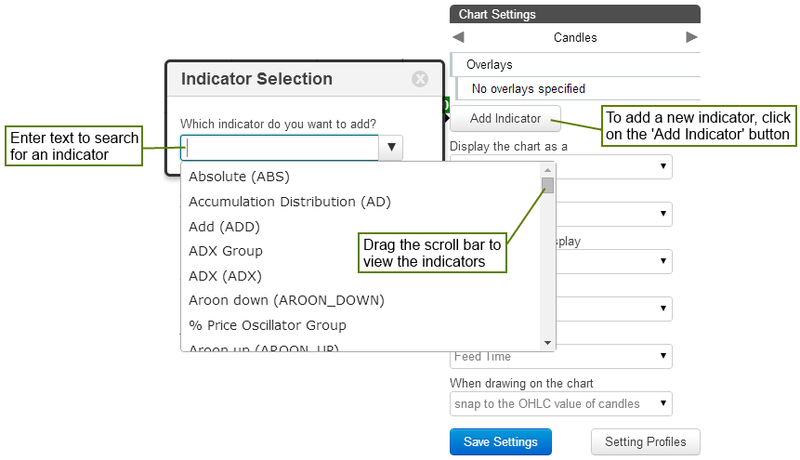 After adding the Historical Volatility indicator, within the chart settings, click on it to set the parameters and change colours.